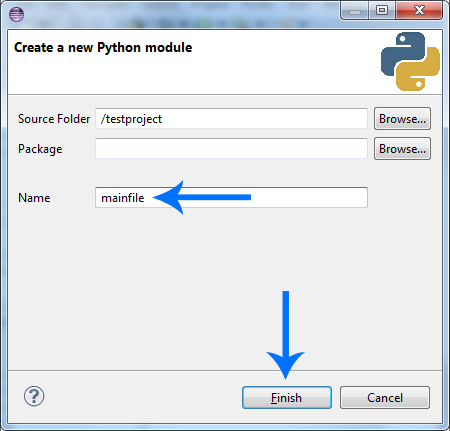 A tutorial about how to use Python in Eclipse. Python 3: contains a new concepts, is faster than Python 2. Python 2: is simpler than Python 3. We love simplicity, so we will go for Python 2. 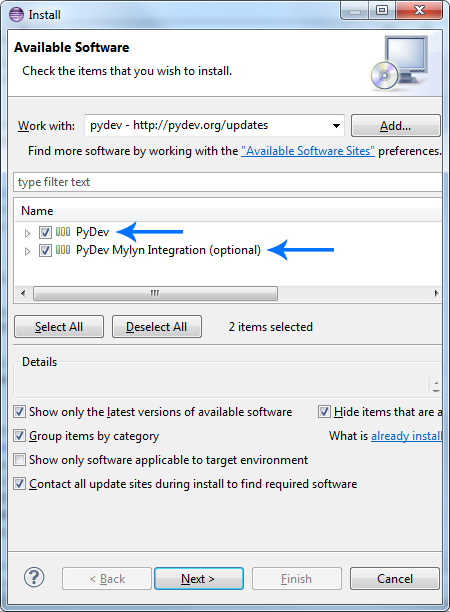 The Python developers are still updating Python 2 regularly, so we will do just fine with it. As soon as the download is finished, we simply install it. 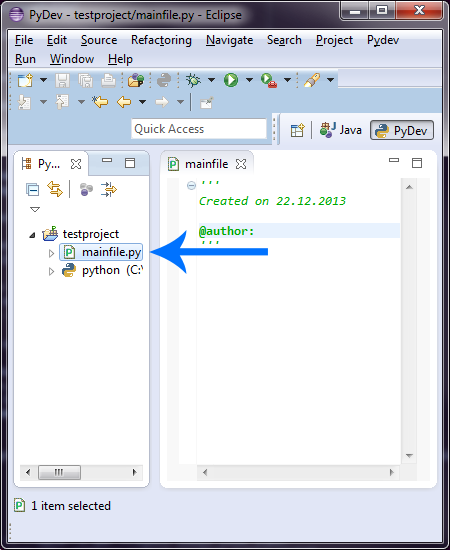 Our computer now knows how to execute Python code, great! 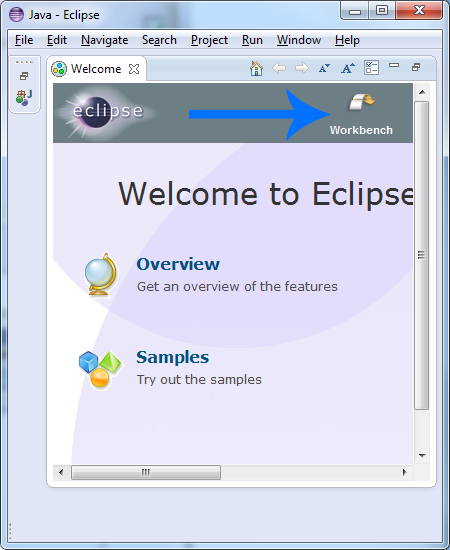 Eclipse will be our development environment (IDE). It's like a big set of tools that makes our lives easier later. Be warned: the rest of this tutorial may look rather long. The reason is that we will explain every single step so everyone understands how to do it. 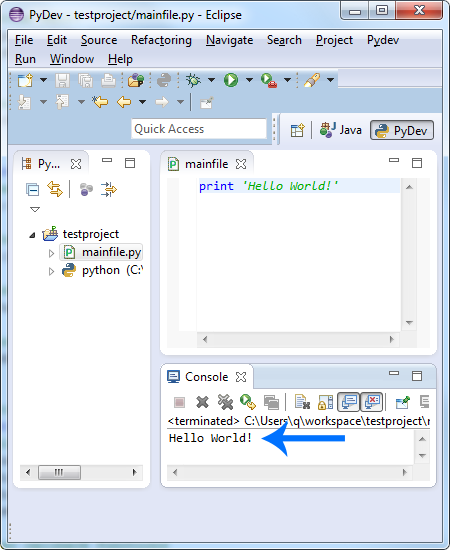 Once started, Eclipse asks us something about a Workspace. Just press OK there. 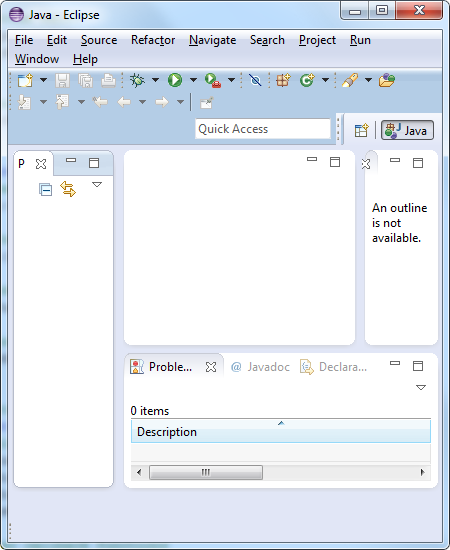 You might noticed that Eclipse has Java written all over it. 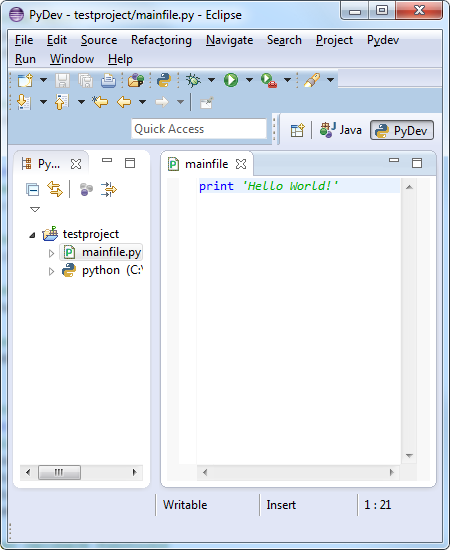 The reason is that Eclipse is usually used for Java programming, but due to its plugin system, it works with all kinds of languages (like Python) as well. So let's install the Python plugin really quick, then we can jump into programming. Afterwards pre press OK and wait a few seconds. 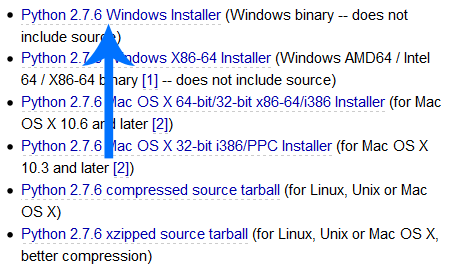 Make sure to select both of them and then keep clicking Next and Accept the terms... until the installation was finished. If it asks if we trust the certificate, make sure to confirm it. Once installed, Eclipse wants to do a restart, so let's just press OK and wait until Eclipse restarted itself. 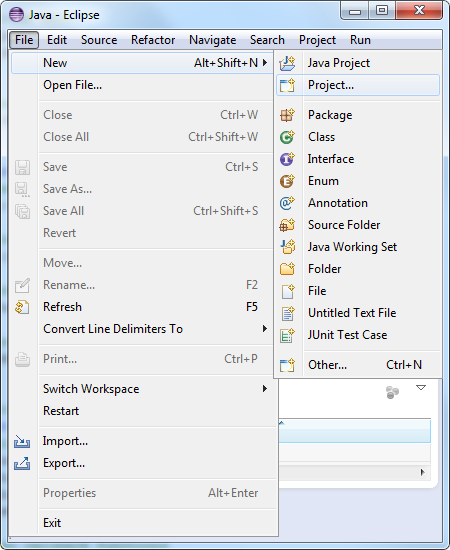 Afterwards we press OK in the Preferences window and wait while Eclipse restarts. 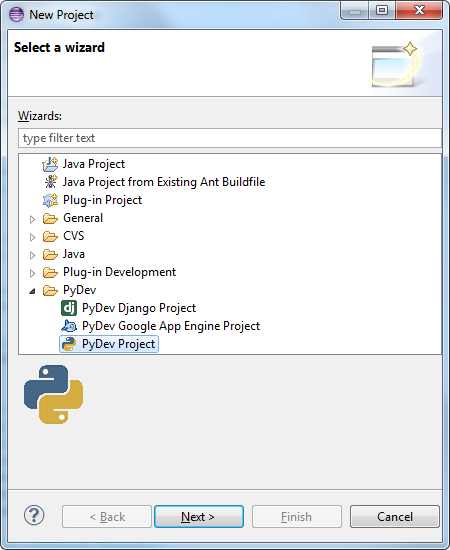 The Eclipse Python plugin is now set up successfully! Note: we won't have to do anything like that again, this was a one time setup. 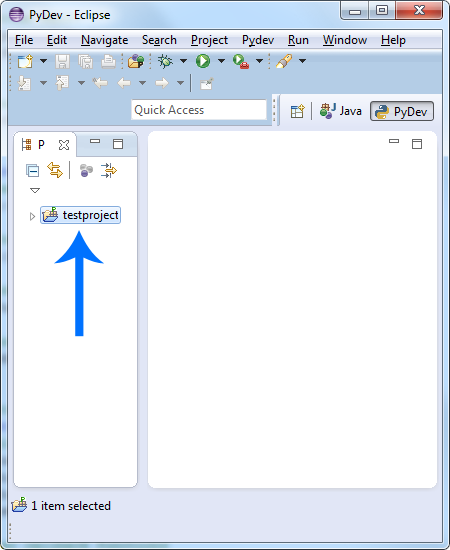 If Eclipse asks if it should open the associated perspective, we press Yes. Then we press Finish. If eclipse asks us for a template, we select Empty. 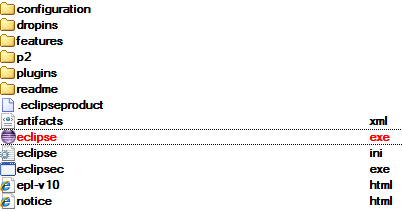 The part in the middle is our source code (where it currently says Created on...). The green text in there is just a automatically generated comment that we can delete if we want to. So the last question is, how do we run it? 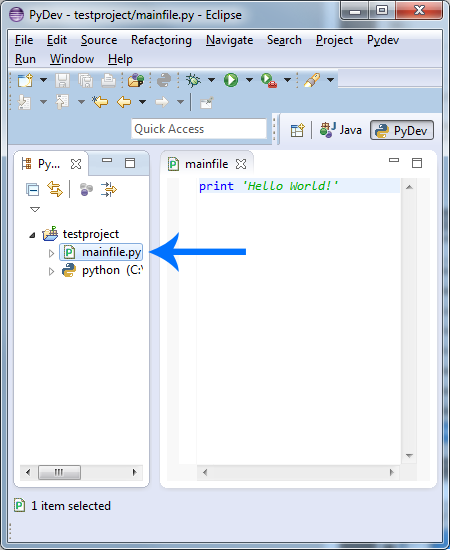 and select Run As -> Python Run. 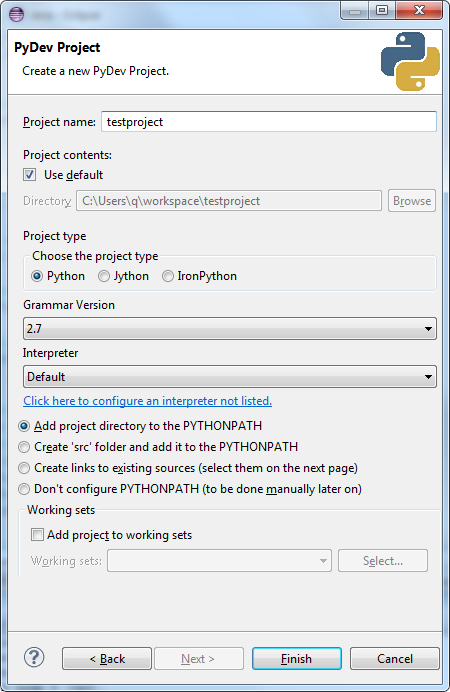 That's it, Python in Eclipse.